Many people are yet to realise that apart from potato being a healthy vegetable, it also has some therapeutic and medicinal benefits to humans. Be it potato slices or peels, it has been used for skin care by serving as remedies for pigmentation and dark circles. With all these, raw potato juice is yet to get the necessary attention despite all its medicinal qualities. In this post, we shall be discussing the health benefits of raw potato juice, revealing why you should consider to drink it always. Potato juice is highly rich in fibre, vitamin C, b-vitamins, magnesium, potassium, copper, manganese, iron and also some amount of protein. Raw potato juice contains anti-inflammatory substances which makes it perfect for a therapeutic health drink. Read on, as you get to see 7 important ways raw potato juice benefits your health. Generally, when there is an inflammation in your joints it can easily result to arthritis. This can make you to suffer from joint pains and other discomforts like soreness, restricted mobility etc. Most joints that are affected by arthritis includes; your knees, shoulders, elbow followed by your neck and back. With such conditions, it is necessary you reduce the inflammation and counter the pain so that you can live a healthy life. Though there are lots of medications for the inflammation, raw potato juice can work as a perfect home remedy for arthritis. Like you already know about the anti-inflammatory properties of the raw potato juice, it reduces the inflammation and subsequent pains. I guess most of you are yet to realise that the aches, pains and ailments that we do experience is as a result of improper blood circulation. Well, now you know. Improper blood circulation makes it difficult for many of our body cells to receive adequate amount of oxygen and nutrients. If this persist, it makes the cells go weak and sets the stage for other ailments and diseases. Therefore, to get things right, you need proper digestion and blood circulation to ensure that every cell in your body gets adequate nourishment. A single glass of potato juice can go a long way in this regard. Raw potato juice improves digestion and helps in blood circulation which ensures that all your bodt cells acquire the right nutrient. Naturally, the pH of the human body is neutral. But it can be altered by unhealthy eating, sedentary lifestyles, stress, lack of sleep, overdose of medications and lots of other factors. All these can alter the balance and create an acidic environment. As a result of these, many nutrition experts do recommend the eating of alkaline foods in to maintain a normal pH balance in our body. Raw potato juice is highly alkaline, therefore, it does an excellent job in maintaining the body's pH. Gout is simply a form of arthritis that occurs due to high levels of uric acid in the body. Its symptoms are severe pain, redness and soreness of joints. It affects most of our joints, especially that of the toe. An elevated uric acid in the body also indicated that the kidney might not be functioning properly and is unable to remove uric acid from your body. Raw potato juice can come to the rescue whenever this occur, as it can break down and flush out uric acid from your body. A glass or raw potato juice is recommended every morning for people suffering from gout. Acidity, flatulence, indigestion, and bloating are very common in most human these days. However, drinking raw potato juice can get you relieved from these symptoms. By mere drinking one or two tablespoon of potato juice for a fortnight, you can get relieved from most of these symptoms. Potatoes are highly rich in fibre, and this helps to flush out excess cholesterol from your system. Since potatoes do not contain cholesterol, it makes for a zero-cholesterol food. This is another important reason you should be drinking the raw potato juice. 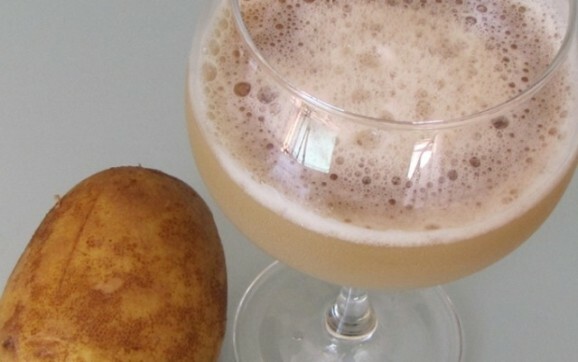 Raw potato juice is a perfect drink that detoxifies the kidney, liver, gallbladder, and the entire body. It can also help you to build immunity and fight fights different kinds of aches and pains too. How do you get juice from potato? This might be a question that is already running through your mind, well let us see it can be achieved. Preparation of raw potato juice is not as difficult as you might think. Just follow this simple steps. Wash and peel a large-sized potato, then cut into pieces and juice it up with some water in a juicer. Unless you grew organic potatoes yourself in your home or farm, you should avoid to juice the peels along with it. This is because the non-organic ones might have remnant of dirt and pesticides. In case you dislike the flavour of the potato juice, you can mix it with a quarter cup of carrot or beetroot juice. You can as well add a teaspoon of ginger juice for a nice flavour. To achieve the best result from raw potato juice, you should drink it early in the morning or take a small shot of 200mL at night before going to bed. Precaution: You should bear in mind that every good thing should be taken in moderation. Remember that potatoes are highly rich in potassium. Therefore, if you are placed on a low potassium, always talk to your nutritionist or doctor before trying the raw potato juice. Kindly use the share button below to share this important information with your friends on Facebook or Twitter.